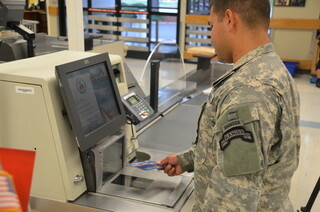 Loading your Commissary Rewards Card with coupons is one of the best ways to save time and money for shopping at your base, and MyMilitarySavings.com makes it easier than ever to find and manage coupons and other discounts for military shoppers like you. We understand how difficult it can be to sift through websites to find the coupons you need, which is why we’ve gathered savings of all kinds from a variety of sources into a single, easily navigated site. That way, you can quickly find the discounts you need before your shopping trip without a lot of hassle. In addition to the savings opportunities that we provide for DeCA card holders, we also have tons of coupons and deals from a variety of other sources. With our “My Shopping List” tool, you can easily arrange everything you’re looking for into a digital shopping list that you can print out or take with you on your smartphone. Also, to help you plan out your next trip to the commissary around the latest specials before ever leaving your home, we will send you our weekly e-newsletter with digital copies of the Price Connexion and the Coupon Connexion. If you’re ready to find the latest Commissary Rewards Card coupons and other discounts for your next shopping trip, enroll today at MyMilitarySavings.com.